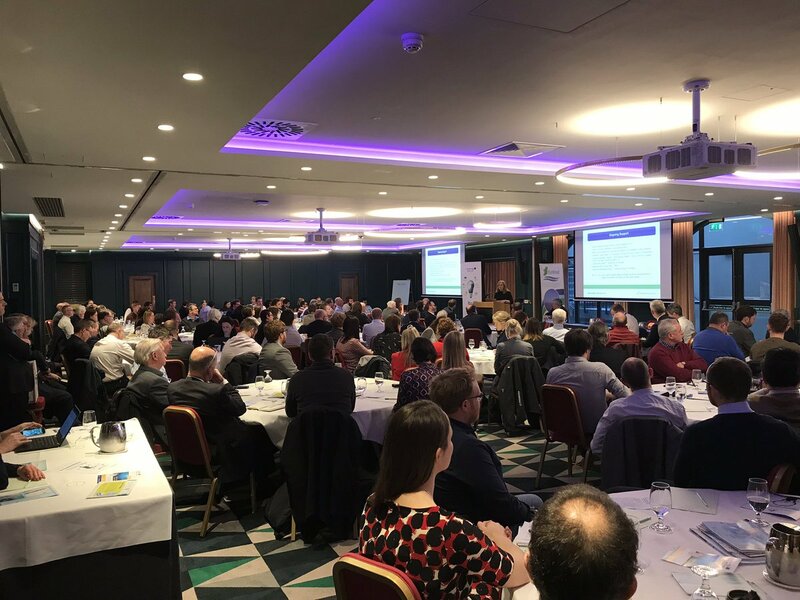 ProtoAtlantic sponsored the MRIA (Marine Renewables Industry Association) 10th annual Marine Renewables Emerging Technologies Industry Forum, which took place on the 1st February 2019 in The Alex Hotel, Dublin. 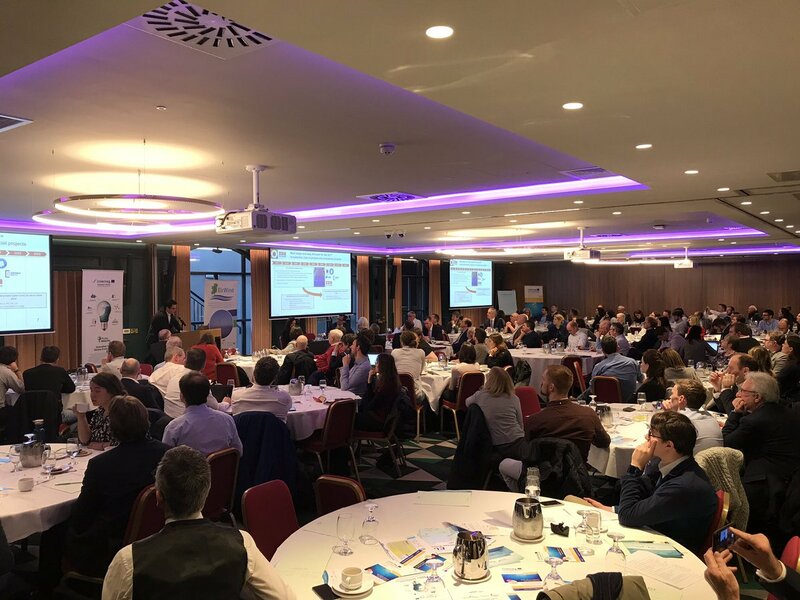 The event was attended by over 200 key industry professionals in the marine sector, the largest attendance at the event to date, and the largest annual gathering of marine companies nationally in Ireland. Peter Coyle, Chairman of MRIA, and Eamonn Confrey, Principal, Department of Communications, Climate Action and Environment, opened the event, with Eamonn Confrey outlining the commitment from the Department to continue ongoing efforts to tackle climate change through greater focus on renewable solutions. Following on from this, Dr Val Cummins, University College Cork, presented the ProtoAtlantic project to the audience, discussed the various stages associated with ProtoAtlantic, and the current funding streams available, primarily Fast Tracked Product Development. Dr Cummins also discussed the role of ProtoAtlantic in assisting marine start-ups through the Accelerator Program, as well as the Marine Policy Recommendation phase of the project. After the initial introductions, Session 1, entitled “What are they key developments concerning the industry?” commenced, and was chaired by Simon de Pietro, Chief Executive of DP Energy and Co-President of Ocean Energy Europe. 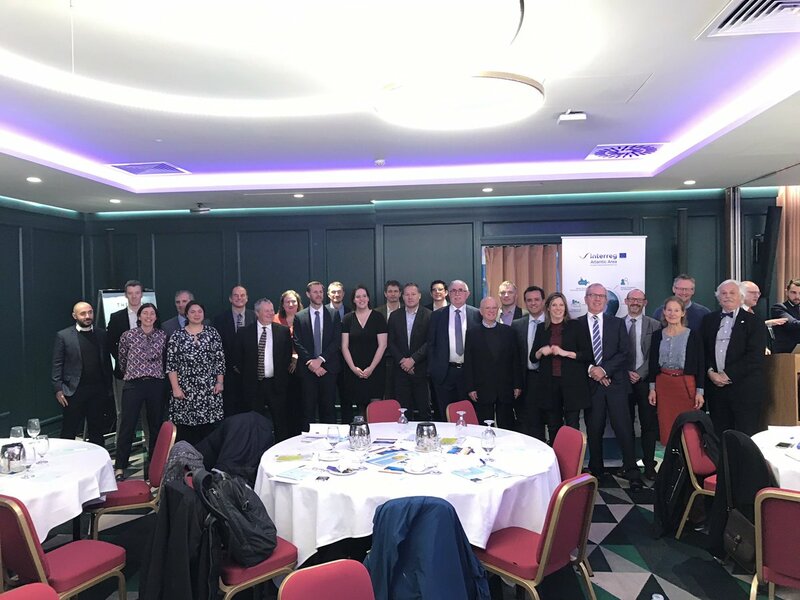 Presentations were delivered by Jim Gannon, Sustainable Energy Authority of Ireland, Jan Reid, Scottish Enterprise, and Remi Gruet, Chief Executive, Ocean Energy Europe, who discussed perspectives from Ireland, Scotland and Europe. The session concluded with a panel discussion led by session chair Simon de Pietro. 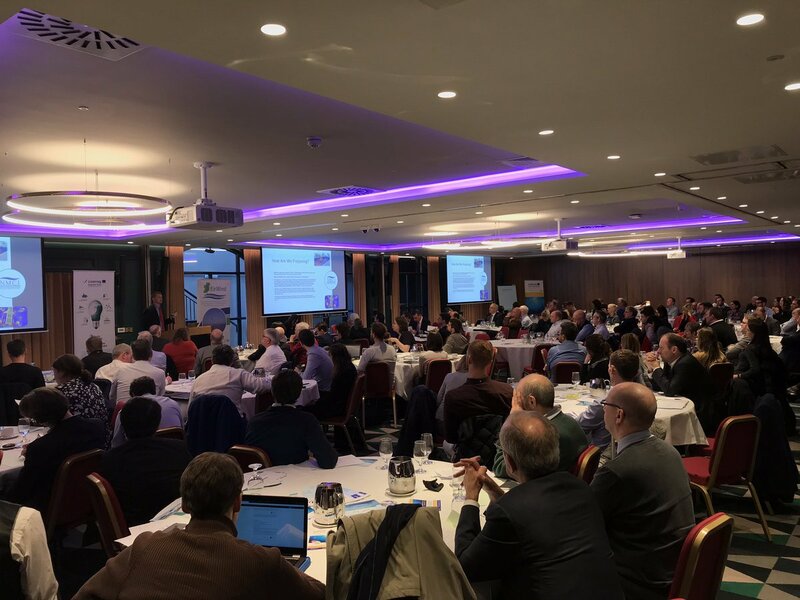 Session 2, “Technology and Project Progress”, was chaired by Sam McCloskey, Director of the Centre for Advanced Sustainable Energy, Queens University Belfast, and consisted of keynote presentations from seven marine technology companies. Ali Baghei, CEO of Taiwan based Aquanet Power, Ambroise Wattez, Business Development Manager Renewables and Offshore Energy Systems of SBM Offshore, located in Holland, and Max Carcas, CEO of Caelulum, discussed their companies and the technological progress being made in each of their sectors. 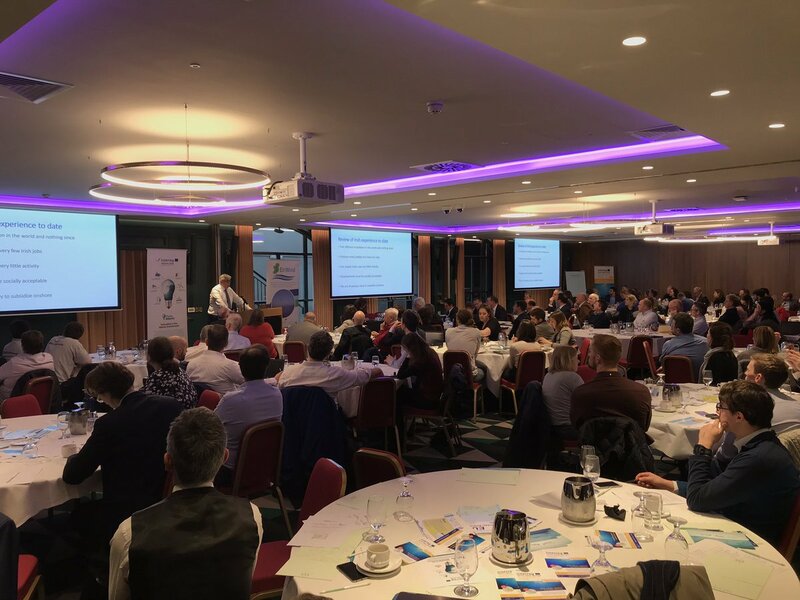 In addition to this, Sam Roch Perks, CEO of Simply Blue Energy, Tim Kirrane, CEO of Bluwind, Tim Hurst, CEO of Wave Energy Scotland, and Tony Lewis, CEO of Ocean Energy, concluded the presentations from keynote speakers. Declan Meally, Head of Emerging Sectors, Sustainable Energy Authority of Ireland, closed the morning session. 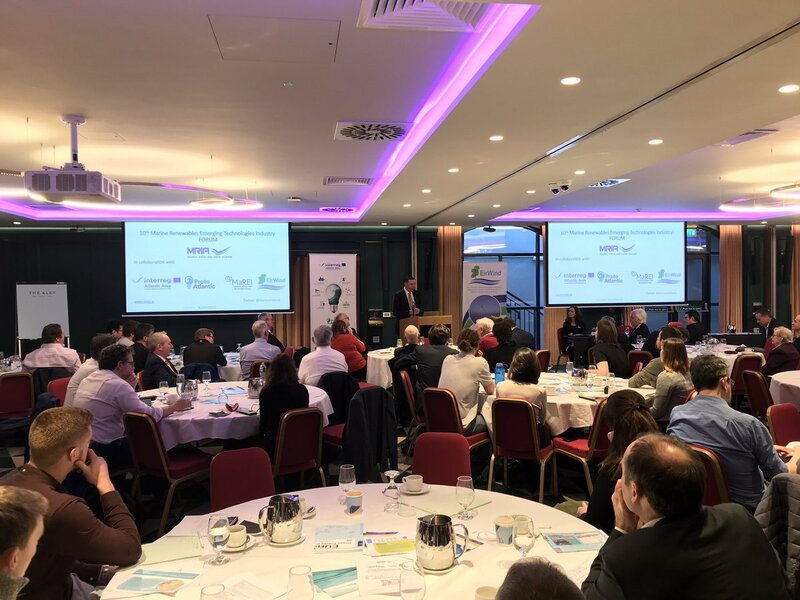 In the afternoon session, Jimmy Muphy, Principal Investigator, MaREI and Head of Lir National Ocean Test Facility, chaired a third session on “MaREI – a centre of excellence for marine and renewable energy”, and this session consisted of six presentations from researchers associated with MaREI. 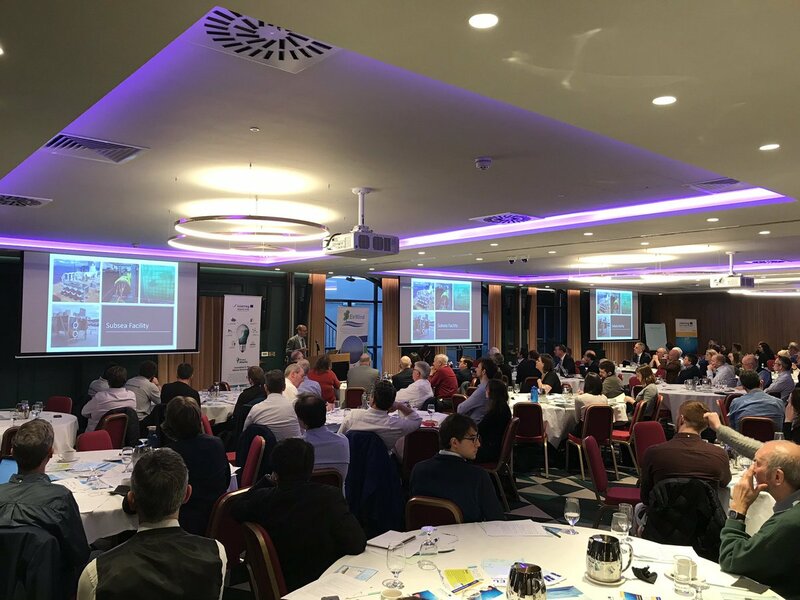 First, Dr Gordon Dalton, UCC, discussed MaREI participation and contribution to the MEA project, and this was succeeded by a presentation from Stephen Nash, NUIG, on tidal energy research in MaREI. Gregorio Iglesias, Professor of Marine Energy at UCC, delivered a presentation on a vision for MRE research in Ireland , while Li Guo Wang, Maynooth University, and Matthieu Ancellin, UCD, discussed optimisation of a hinge-barge wave energy convertor in the BenchWEC project. 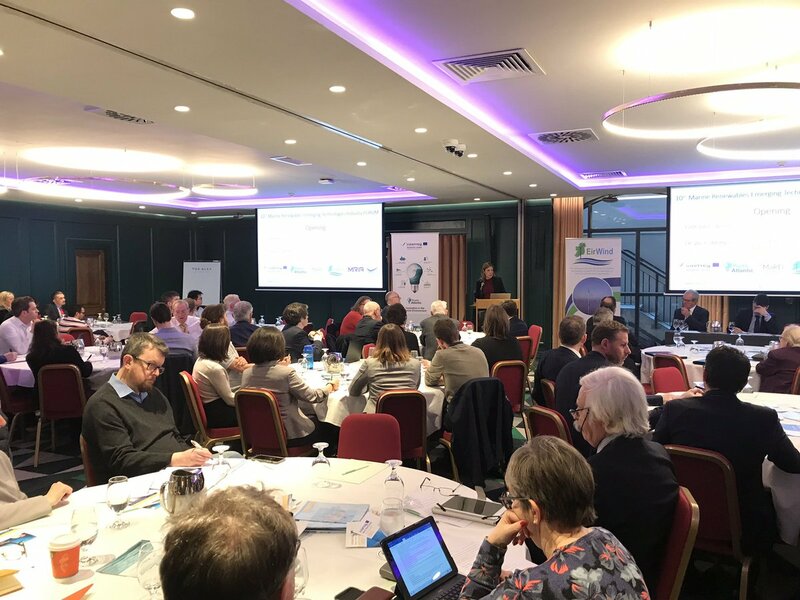 Finally, Zoe O’Hanlon, UCC, discussed an evidence based comparative insight of Irish and Scottish regulatory frameworks for offshore wind, while Jimmy Murphy, chair of the session, concluded the forum with a general discussion on research collaboration in MRE in Ireland. 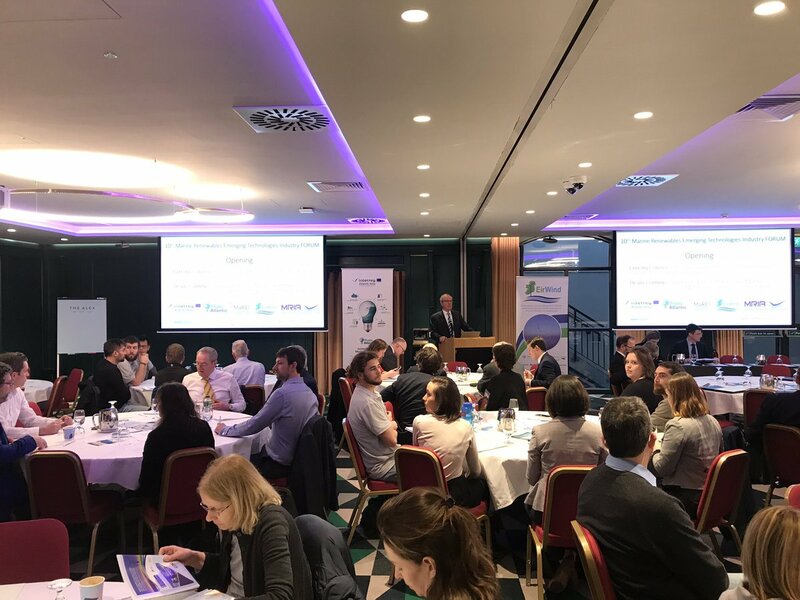 Peter Coyle, Chairman of MRIA, closed the 10th annual Marine Renewables Emerging Technologies Industry Forum by thanking ProtoAtlantic for sponsoring the event, and inviting all in attendance to keep up-to-date with the project progress by visiting the project website, www.protoatlantic.eu , and following the project’s active Twitter account @protoatlanticEU. Furthermore, marine industry professionals were encouraged to apply, where appropriate, for the funding opportunities available through the programme, such as Fast Tracked Product Development and the Accelerator Program.